Skydiving With No Parachute…Sounds Just Wild! Water fasting is a method through which food intake is restricted. It is a practice which lots of people have been engaging in for years. This is a form of fast whereby everything is restricted with water being an exception. In recent times, it has increased in popularity as most people use it in reducing their weights. 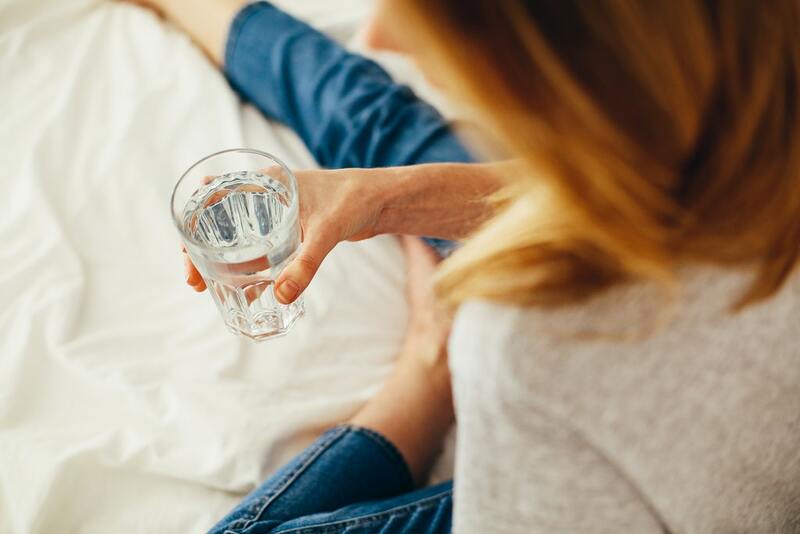 According to studies, there are some health benefits that water fasting can provide. Through its practice, risk pertaining to chronic diseases will be reduced. Autophagy (a process which enables your body to not only break down old cell parts but also recycles them) will also be stimulated. Having said all of the above, it is important to note that very few studies have been carried out on water fast. Also, there are lots of health risks involved which makes it not to be healthy for anyone. The major aim of this post is to have you exposed to some of the benefits and dangers of water fasting. People usually engage in the practice of water – fasting due to the health benefits attached. It is because studies have shown that there are some health benefits which people can experience once they engage in such a practice. These include reduced risks of diabetes, heart diseases and cancers. Autophagy can also be promoted by water fasting. This is a process whereby your cells’ old parts are broken down and recycled. Such cells do have the potentials of causing problems in the system of an individual. Popular diets such as lemon detox cleanse seem to be taking after water fast. This is because it will only allow you to drink cayenne pepper, maple syrup, water, and lemon juice some times in a day over a period of about 7days. Water – fasting however, has been discovered to involve lots of risks or dangers once engaged in for a long period of time (beyond 72 hours). Water fasting is a form fasting whereby an individual isn’t allowed to take any other thing apart from water into his system. It has been discovered to reduce the risk of abnormal conditions such as cancer, diabetes and others. Also, it has lots of risks and dangers. How Can You Actually Water Fast? There isn’t any set in stone procedures about how you can begin water fasting. However, there are actually some people that shouldn’t engage in water fasting without any form of medical supervision. Some of them are people suffering from diabetes, chronic kidney disease, older adults, eating disorders, children and pregnant women. In case you haven’t done water fast in the past, ensure that your body is prepared for the process in advance. This should be about 4 days before the water fasting itself commences. The way to do this is reduce the quantity of food that you take every day. You can also decide to fast for some periods of the day. You will not be allowed to eat food (solid) during the course of water fasting. Most individuals drink around 2 – 3 litres of water every day during water fast. The period that water fast usually lasts is about 24 – 72 hours. Unless you are being supervised medically, going beyond this timeframe isn’t advised. During water fast, there are people who usually feel weak or dizzy. They even avoid doing heavy tasks that can drain their energy levels quickly. Also, they may avoid driving in order not to cause accidents. Ensure that you don’t fall into the temptation to consume large quantity of meal after the period of water fast. The reason is that trying to eat large meals after such a period can lead to symptoms which will make you feel uncomfortable. Rather, ensure that your fast is broken with smaller meals or even smoothie. As you start feeling more uncomfortable, begin to eat larger meals all through the course of the day. Post – fast phase seems very important most especially for those fast that will last for long periods of time. The reason for this is that you could suffer from refeeding syndrome. This condition is experienced anytime your body seems to be undergoing series of changes in electrolytes and fluids. This phase usually lasts for 24 hours (1 day). However, if your waster fast goes beyond 2 days or more, your system may need about 72 hours (3 days) to become comfortable during intake of large meals. The time water fast usually lasts is about 24 – 72 hours. A post – fast phase is what will follow this period. In case you are new to this form of fasting, ensure to that your body is prepared in about 3 – 4 days before embarking on it. You should reduce the quantity of food intake that you consume and also fast for parts of the day. Autophagy is actually a process whereby the parts of cells which are old will get broken down and recycled. According to various studies, autophagy can help in the prevention and protection against abnormal conditions such as heart disease, Alzheimer’s disease and cancer. For instance, through autophagy parts of the cells which have been damaged will be prevented from getting accumulated. This can help in the growth of cancer cells. Even in animals, water fast can help in the promotion of autophagy as well as prevention of diseases. Also, through autophagy, the lifespan of animals can be extended thereby making them to live longer. Having said these, it should be noted that there aren’t enough studies on autophagy, disease prevention and waster fasting. More researches will be needed before water fast can be recommended for the promotion of autophagy. Studies have shown that water fasting which last over 72hours can help in reducing high blood pressure. About 68 people experiencing high blood pressure practised water fasting for a period of 14 days. They were medically supervised though. Eventually, it was discovered that over 82% of such people experienced reduced blood pressure. Their blood pressure came to about 120/80 mmHg. Also, there was an average reduction of about 20 mmHg in blood pressure for systolic [upper value] while diastolic was and 7 mmHg [lower value]. Also, a study was carried out on a group of individuals (174 people) who water fasted for about 10 – 11days. Eventually it was discovered that over 90% of these individuals experienced a reduced blood pressure which wasn’t up to 140/90 mmHg. It was the limit through which high blood pressure is being diagnosed. Furthermore, systolic high blood pressure experienced a reduction of about 37 mmHG. The unfortunate aspect is that there isn’t any research carried out to point out the relationship existing between high blood pressure and short term fast. Leptin and insulin are vital hormones which affect the metabolism of the body. Through insulin, nutrients will be stored from the blood stream. Furthermore, the body is going to feel full through Leptin. Studies have shown that through water fasting, your body can easily become very sensitive to Leptin and insulin. The hormones will become more effective through better sensitivity. For instance, the more insulin sensitive you are, that is how your body will be effective at reducing its blood sugar. Also, the more leptin sensitive your system is, that is how it will be able to effectively process hunger signals. This will help reduce your chances of suffering from obesity. Researchers have shown that through water fast, risk of certain chronic diseases can be reduced. These could be heart disease, cancer, diabetes. A study was carried out on 30 healthy adults. They engaged in water fasting for one full day (24 hours). After concluding the fast, it was discovered that their blood levels of cholesterol as well as triglycerides had been reduced. These are 2 major factors responsible for heart diseases. Studies carried out on animals have shown that water fast can protect the heart from getting damaged by free radicals. These are those unstable molecules which can damage some sections of the cells. They’ve also been discovered to be responsible for lots of chronic diseases. It has also been found through research on animals that genes which help in the growth of cancer cells can be suppressed through water fasting. Chemotherapy effects can also be improved. Don’t forget that only few studies have been carried out about on benefits of water fast to humans. Prior to making recommendations, lots of researches on humans will need to be carried out. Through research, it has been discovered that water fasting can lower the risk of many chronic diseases as well as enhance autophagy. Majority of these studies are either short – term based or carried out on animals. Rapid weight loss may be experienced due to restriction of calories in the process. It has been discovered that you are likely to lose around 0.9kg (2 pounds) every day once you engage in a fast for 1 – 3 days. The unfortunate part is that majority of the weight to be lost is water, muscle mass and carbs. You are likely to get dehydrated through water fast. The reason for this is that about 20% – 30% of the water in your system is gotten from your food intake. This means when you take the quantity of water within such period of fast without consuming something solid, your body will experience water shortage. Some of the symptoms of dehydration are low productivity, low blood pressure, constipation, headaches, nausea, and dizziness. For dehydration to be avoided, you will have to increase your water consumption rate. Those who practise water fasting have been known to always experience Orthostatic Hypotension. This is a situation whereby your blood pressure drops anytime you stand up suddenly. You can faint, feel dizzy or lightheaded. Anytime you are experiencing Orthostatic Hypotension in the process of water – fasting, it is important that you don’t drive. This is because you could be involved in an accident due to risk of fainting and dizziness. Gout – Uric acid may be increased by water – fasting. This can bring about gout attacks. Diabetes – Diabetes Type 1 and Type 2 do have some adverse side – effects which can be increased by water – fasting. Chronic Kidney Disease – It can worsen the health of people suffering from chronic kidney disease. Eating Disorders – There are proofs that this form of fasting can lead to eating disorders such as bulimia most especially in teenagers. Heartburn – Heartburn can be triggered by fasting. This is because even though there isn’t any food to digest, your body is going to be producing high quantity of stomach acid. Despite all the benefits of water – fasting, it still has its own risks as well as dangers. For instance, you can be prone to changes in blood pressure, dehydration and muscle loss. Is Water – Fasting Going To Help You In Burning Fat? When it comes to burning of fat, water fasting isn’t effective. Although it is going to lead to rapid weight loss, majority of what will be lost are from muscle mass, carbs, and water instead of fats. 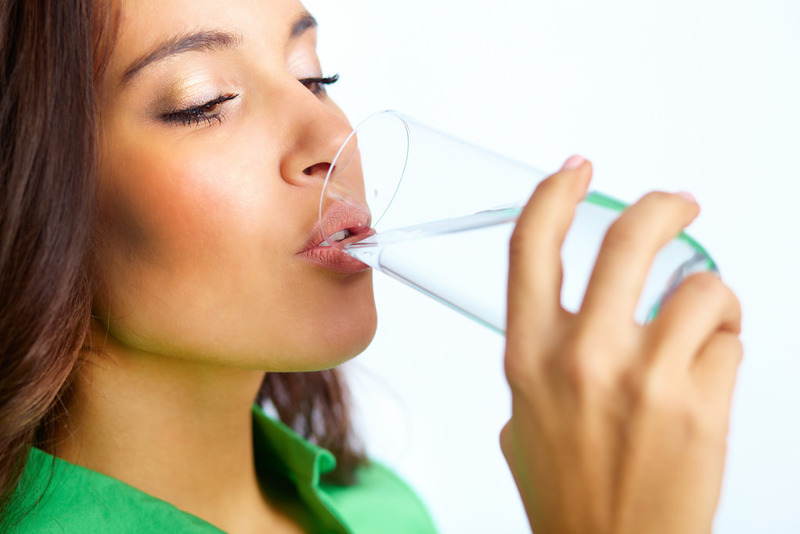 Also, there are lots of health risks associated to water – fasting which can be avoided. In case you don’t only want to lose weight but also want to experience the various fasting benefits, you can try out alternate-day fasting or intermittent fasting. They have some health benefits and will also enable you to consume food. Water – fasting isn’t effective in the burning of fats. This is because it takes some days before fat will be burnt for fuel in your body. Water fasting is very popular and has got lots of health benefits. Most of these benefits are meant for animals though. This means similar effects may not be experienced by humans. Also, there are lots of risks and dangers associated with this form of fasting most especially when it has gone beyond 3 days. These could be conditions like heart diseases, kidney diseases and diabetes. Alternate-day fasting and intermittent fasting can help you experience health benefits of fasting. Fasts like these will enable you consume food thereby making them much easier to engage in.